Boeing Co (BA) Shares Sold by Eagle Asset Management Inc.
Google’s parent Alphabet Inc now has a share of Snapchat. Google Capital, one of two venture capital companies of Alphabet quietly added a stake in Snapchat to its investments on Friday. There were few details provided by the company in the way of timing, reasoning or the size of the investment in Snapchat that was made by Google Capital. A spokesperson at Google confirmed Snapchat was one of the companies in the portfolio of Google Capital, but would not comment any further than confirming the stake. A Snapchat spokesperson said the company has a policy of not making comments on issues related to financing. On Friday, Google Capital re-branded as CaptialG. In 2014, it was formed as a vehicle to invest in businesses that were more mature. The company’s goal, according it its official website is to drive investment and returns in leading global companies. The investment operation is also a backer of companies such as Glassdoor, SurveyMonkey and Airbnb. The other Alphabet capital arm is devoted to companies that are early stage and has made investments with companies such as Nest and Uber. In 2014, Google ended up buying Nest for $3.2 billion. 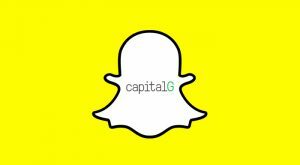 The new stake taken by Google Capital in Snapchat will help to start a closer relationship with a new, talked-about startup that has expanded and continues to do so into a number of areas that are of interest to Alphabet. Snapchat has become one of the rising stars of social media, which has for years been a big weak spot for Google. It recently expanded as well into the hardware side with its sunglasses known as Spectacles that have a wireless video camera that is built-in. That product right away drew a number of comparisons to another pair of spectacles known as Google Glass, the company’s failed attempt at producing smart glasses. Besides that, the new investment will get Alphabet a ticket on what is predicted to be a popular ride for an upcoming tech IPO that could rival that of Facebook’s IPO. Snapchat, which re-branded just recently as Snap Inc, has been able to raise over $2 billion and it is rumored widely that it is planning its initial public offering early in 2017 at a valuation that could reach as much as $35 billion. Other companies that have stakes in Snapchat include Yahoo, Fidelity and Alibaba. Principal Financial Group Inc. Has $219,000 Holdings in Zogenix, Inc.
Geode Capital Management LLC Increases Stake in SunPower Co.
Northern Trust Corp Decreases Position in PDF Solutions, Inc.